A South Carolina man initially bought 7 boxes, then came back for the rest! 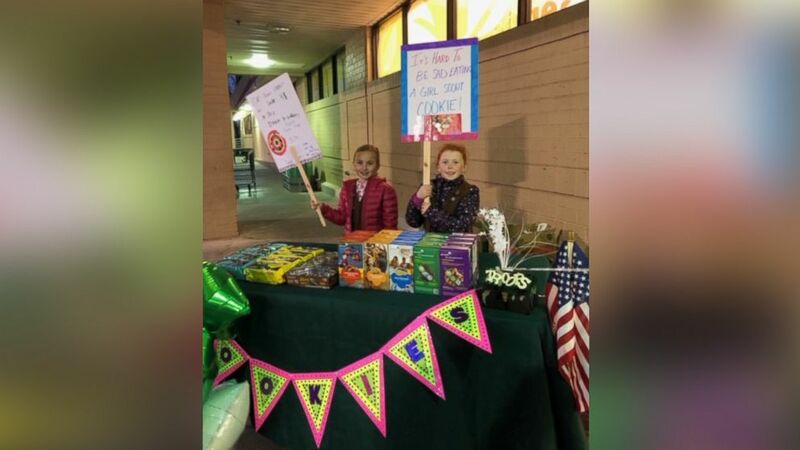 Two Girl Scouts from Troop 1574 made the cookie sale of the season when one man bought their entire supply on their first night! 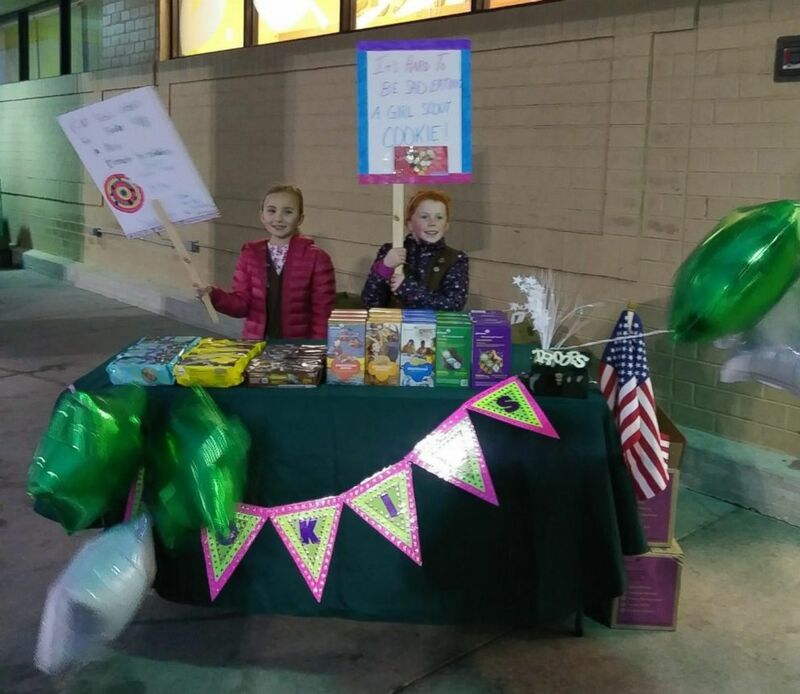 (Courtesy Shannen Ludwig) Emerson Ludwig and Maya Andrews sold all their Girl Scout cookies in front of Bilo grocery store in Mauldin, S.S., Feb. 22., 2019. 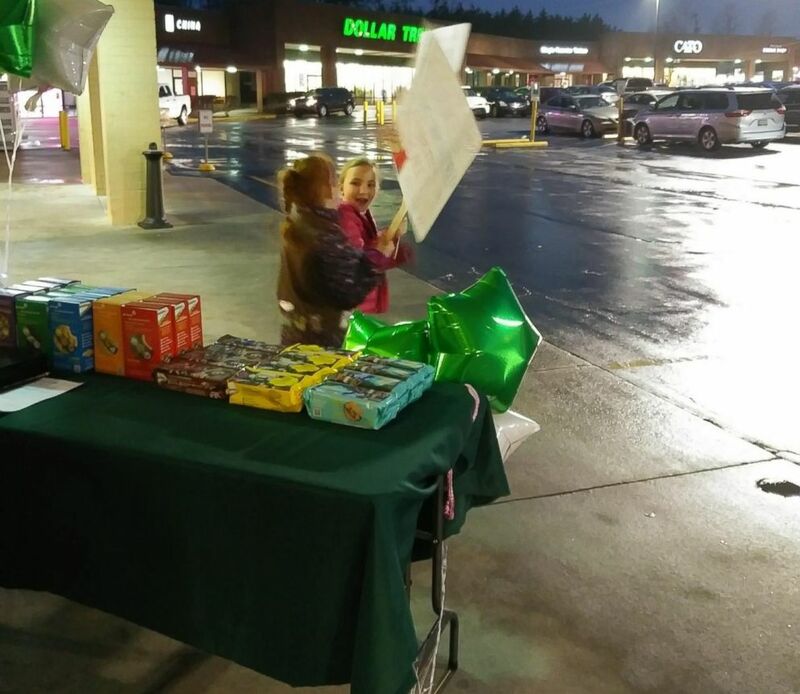 Kayla Dillard, the troop's cookie manager, first shared the story of a man's incredible act of kindness on Facebook last Friday night after she volunteered with her daughter's troop in Greenville, South Carolina. 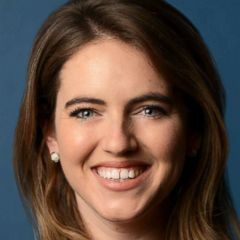 Dillard told ABC News that she was at Bilo grocery store in the town of Mauldin with two young Girl Scouts from her daughter's troop and their moms when the stranger made the sweet purchase. "He came out of the store and got seven packs of cookies, which was $28," Dillard said. "He gave the girls $40 and told them to keep the change." Shannen Ludwig, who was there while her daughter Emerson was selling cookies, said "she was shivering dramatically" at the time, and the man who just gave them the boost in sales came back with an even better offer. "The gentleman pulled back up in his car and said, 'load up all your cookies, that little girl is cold,'" Ludwig told ABC News. "He said, 'load ‘em all up, I'm gonna buy them all." The latest addition is gluten free and will be available this cookie season. For Girl Scout Troop 7856, Saturday mornings are spent heading to prison. Mackenzie Hancsicsak of "This is Us" sold Girl Scout Cookies during the SAGs. The man, who has yet to be identified, purchased a total of 129 boxes and paid nearly $540 total. Dillard, whose own daughter is a Girl Scout, said she and the other moms, Ludwig and Melissa Andrews "were all shocked" but overjoyed. "After the initial shock wore off, our hearts were full, and we were very thankful," Dillard said. Her daughter, who has been selling Girl Scout cookies for three years, has never made a sale this big. "We have had people come and buy a case of cookies," Dillard said, which is equivalent to 12 packs, "but never 10 cases." Ludwig said her daughter was "very excited" to make such a sizable sale on her first night ever selling, gave the stranger a hug and thanked him for his kindness. "This is her first year in Girl Scouts so she was very excited. She said 'Mommy that was so nice of him!'" "So we loaded up, they took a picture and we got to go home," Ludwig said. Since the man bought their entire supply, the girls have to wait for more inventory, but will be back in the same place selling again this weekend.